For a sleek, contemporary look that only requires minimal space, replace your old windows with sliding windows that will deliver a lifetime of easy operation. Huff ‘N Puff proudly installs Renewal by Andersen® windows that combine the widest view with the best performance available from sliding replacement windows. Sliding windows are also known as gliding windows, and are an excellent choice when you want ample glass area. In fact, the design of sliding windows allows for the use of less frame and more glass, so you can enjoy the most glass area of any operable window. Another benefit of this window style is that it does not project outward, so it will not interfere with foot traffic on decks, patios or walkways. Unlike lower quality windows that can often become stuck or jammed in their tracks, our sliding window frames are made of rigid, durable Fibrex® composite material. 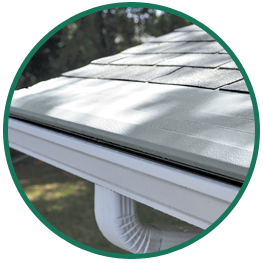 This allows your windows to glide on the tracks smoothly, with virtually no required maintenance. When the time does come to clean these windows, they can be easily lifted out of the track, wiped clean and put back in place with minimal effort. Every Renewal by Andersen window we install utilizes thermally efficient Low-E4® glass that can help reduce your monthly energy bills by limiting energy loss. Our Renewal sliding windows are also backed by one of the strongest limited window warranties in the industry. 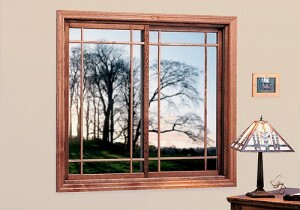 Slide into a more comfortable and attractive home with new sliding windows from Huff ‘N Puff. Complete our convenient online price quote request, or call us today at (855) 483-3678 to schedule a free, no-obligation estimate on Renewal by Andersen replacement windows.